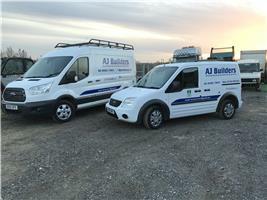 A J Builders - Bathrooms, Bedrooms, Builder, Driveways/Patios/Paths, Kitchens based in Woking, Surrey. Welcome to our Checkatrade page and thanks you for taking the time to look into our details. AJ builders have been established for over 14 years. We specialise in all aspects of internal and external building work. We offer free no obligations advice prior to a free estimate. All our tradesman are professional with many years of experience in the industry. If you would like further information please contact us.